In Finland after graduating from High School most of the people continue with university level studies. However, we don’t get our university places by just applying for them or paying for it. We have to earn it by passing an entrance examination. These examinations aren’t anything to laugh at. Just after reading your brains out for High School's spring Student Examination you’re expected to continue your ordeal by absorbing yourself in memorizing in detail the books that you're required to read for your chosen field of study. Usually a few thousand pages of theory books filled with detailed pieces of information. In order to earn the privilege to study at the most popular schools for example the Helsinki School of Economics and Management, Helsinki University Law School, Medical School etc., some people start reading half a year in advance doing 8-10 hour work days. Just to get in ! However hard you work the amount of students admitted is nevertheless limited leading to an entrance level to a particular school at 10-20 percent of all applicants. Nothings free but after achieving this goal, maybe after a few years of trying, the students who begin are motivated and not many will lay aside their academic studies after those few springs spent inside the local library. On with the story. Personally I decided to try my luck with Helsinki School of Economics and Business Administration but after three months of spending one of the most splendid springs in Finnish history indoors I managed to fail the entrance examination with 1 point under the entrance requirement. What an experience! Life didn't however end in pity with one test. 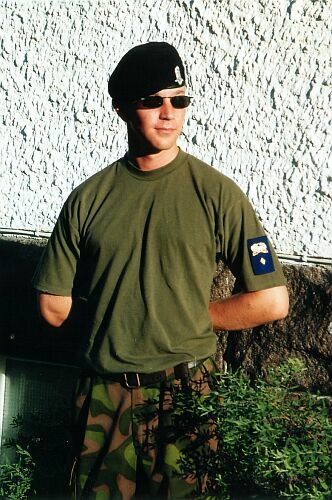 In Finland military service is compulsory so I was drafted in July 1996. I chose to do my service at Hämeenlinna Tank Brigade with special training in the military police company. 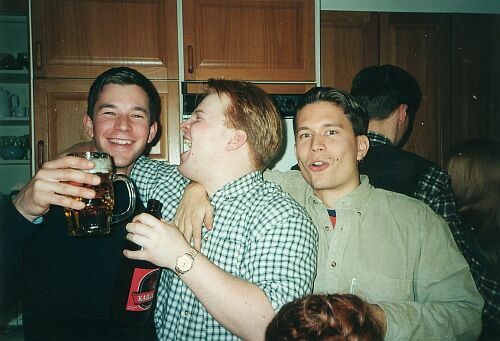 I was accepted for Officer School at Hamina, which was quite an educating experience. You learned the precise meaning of discipline. After three days of marching in bushy forests without sleep in constant rain, one could question the whole meaning of life, but now thinking in retrospect the training was very professional and taught useful skills in leadership. I earned the rank of Second Lieutenant and left for home after a whole year (368 days) of marching, training, sleepless guard shifts and lot of experiences.